This year's Bouchercon World Mystery Convention, named for the late Anthony Boucher (William Anthony Parker White), well-known writer and critic from the New York Times, will be held September 15 through 18 in St. Louis, Missouri. The prestigious Anthony Awards are given annually with the winners selected by the attendees of Bouchercon. 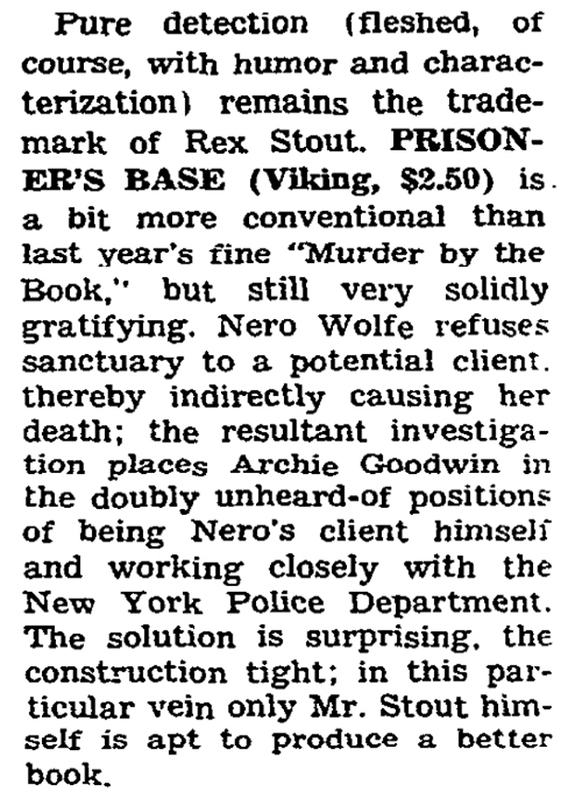 From "Criminals at Large," by Anthony Boucher, New York Times, November 9, 1952. 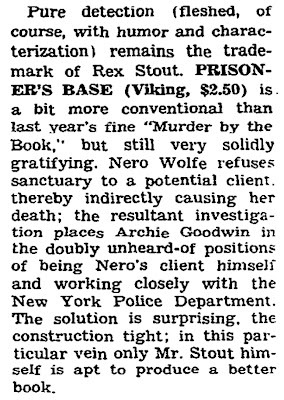 "The solution is surprising, the construction tight; in this particular vein only Mr. Stout himself is apt to produce a better book."